Amazon Web Services(AWS) is a secure cloud services platform. It offers various services including computing power, database storage, content delivery and many other useful services. Using these services business organizations from small to large can scale and grow without the burden of investing a lot of money and effort in hardware architectures. With Amazon Web Services you can build sophisticated applications with increased flexibility, scalability, and reliability. But before you get started with AWS, you must have in need of some guideline. And for this, nothing can be better than books. 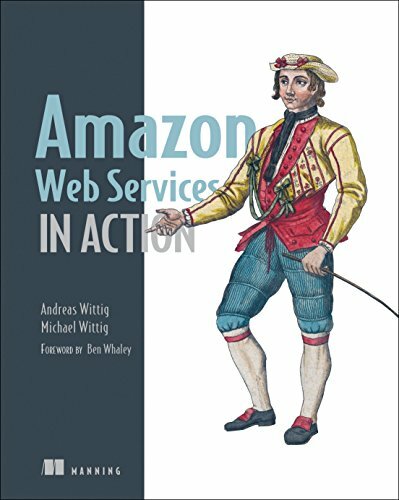 So here in this article, I've curated some widely used and recommended books on Amazon Web Services. These books will surely help you to learn AWS from scratch. So hurry up and pick up the books! Amazon Web Services in Action integrates all the services provides by the AWS cloud. It covers computing, storing, and networking in the AWS cloud. It also pays attention to the best practices regarding automation, security, high availability, and scalability. That means it's the perfect guide for developers and DevOps engineers moving distributed applications to the AWS platform. 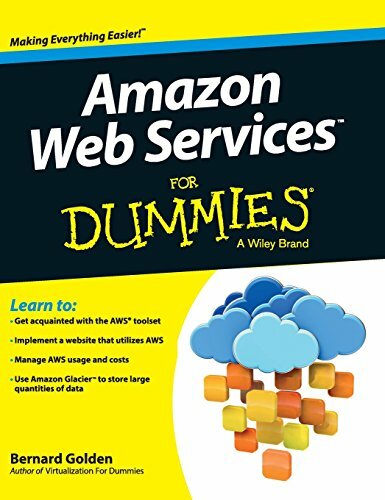 If you're looking for the book that teaches you all the AWS services in details, then this is the best pick for you. As the name suggests, it's for those people who have a little idea about AWS. This is a crucial guide for you if you're thinking to move your web applications to the cloud. It starts with the introduction of the services provided by the AWS. It'll show how to use AWS toolsets in your projects that relieves you from the burden of maintaining expensive hardware. And the different services you can take from AWS to make your projects more cost-effective. This guide can be a solution for understanding the cloud better and implementing the AWS cloud in your organization. 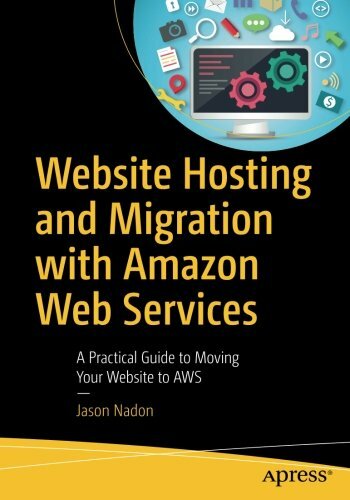 if you have the desire to run your website on Amazon Web Services and don't know where to find the guideline, then this book is for you. It describes the services AWS provides and how you can be benefited by using them. It's an easy-to-understand and beginner friendly guide. It shows you how AWS works from the ground up. If you want to make your website reliable, flexible, and cost-effective with AWS, then this is a must-read for you. 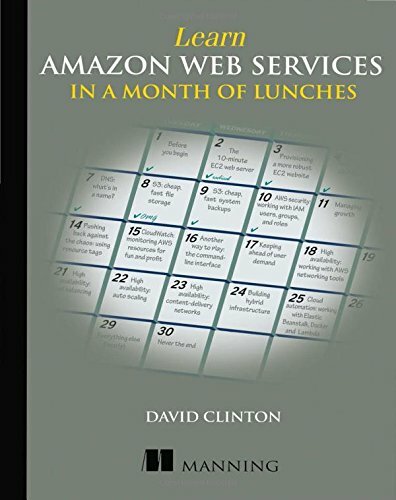 Learn Amazon Web Services in a Month of Lunches is a useful guide for those people who are not from tech-background. This is a short but effective book that illustrates all the core and advanced techniques behind the cloud. The best thing about this book is, the lessons are planned in a way that you can learn the things in your free time. 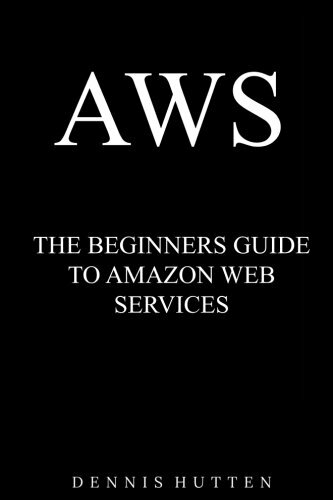 If you're a busy person then this is a great guide for you to teach yourself the AWS. It uses simple and real-examples that make this book more effective to build highly available, scalable, and load balanced web applications. 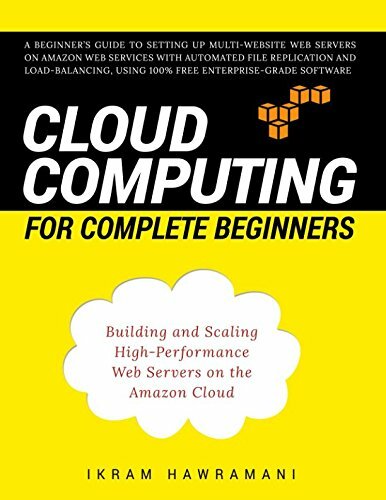 Cloud Computing for Complete Beginners is an effective guide for those who want to understand the technology of cloud computing from the ground up. 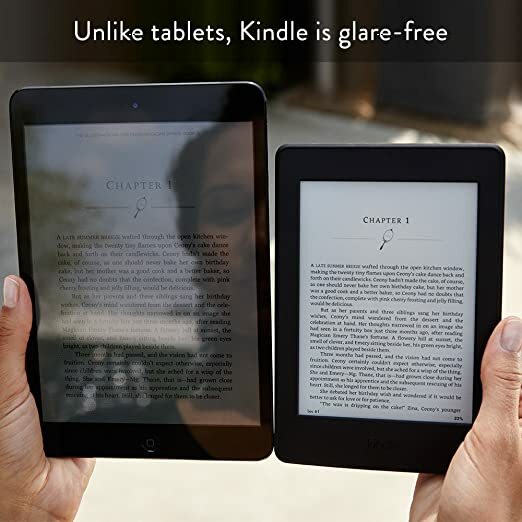 It's simple and detailed explanations will help you to understand this technology better. It provides step-by-step instruction with related command line examples to build and configure servers on Amazon cloud. Though it doesn't go too deep, you'll get enough knowledge for setting up and managing your own Cloud servers. Ths is a complete instruction guide for migrating your websites to the cloud with Amazon Web Services. It describes the core concepts of AWS with suitable examples. it covers all the things you need to learn to manage your website in the cloud. It doesn't matter whether your website is a static website, a content management system (CMS) based website, or a full-featured enterprise level website, this guide provides step-by-step guidance for all these three types of websites. With this guide, you'll be able to learn and use all the benefits of using AWS for your websites. 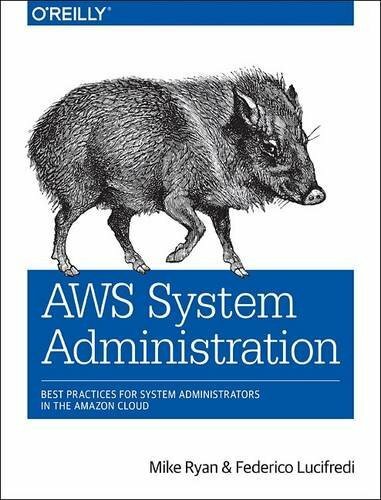 This guide is aimed at system admins and developers working with Amazon Web Services. This comprehensive guide is a gateway to understanding the AWS services, such as CloudFormation, OpsWorks, Elastic Load Balancing, and Route 53. It demonstrates the tools that are used to configure and manage web applications on AWS. If you're a system administrator, then it'll help you to learn how to integrate your favorite tools and processes. However, if you're a developer, you'll also learn enough system administration knowledge to build a robust and resilient AWS application infrastructure. 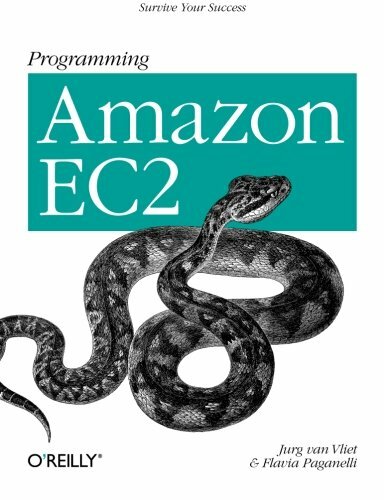 This book is dedicated to teaching you how to use the command line interface and bash to automate your tasks in Amazon Web Services. It describes the command line interface and the bash with clear and practical examples. It starts by showing you how to write scripts for launching servers. Then it goes deeper and explains scripts for automating elastic load balances and RDS databases. It also provides comprehensive scripts for setting up SES and SNS callbacks. It gives a closer look at the security and discusses Apache, PHP, ModSecurity, and MySQL in detail. 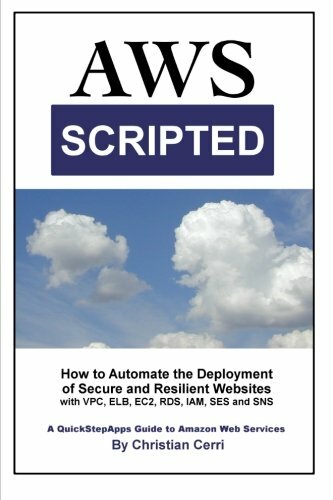 If you want to automate your day to day tasks in AWS using scripts, then this is the best guide for you. Lambda is an Amazon web service that helps you to build serverless microservices. And this book is the definite guide towards developing Lambda. 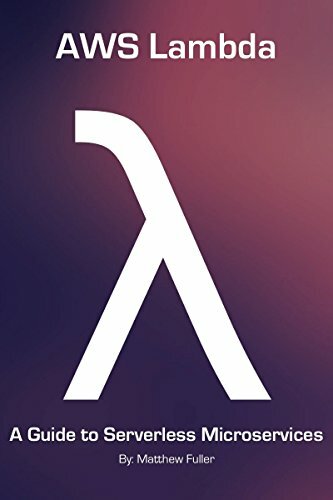 This guide demonstrates everything you can do with Lambda. Using numerous examples with sample codes, it'll teach you the process of creating new functions, responding to infrastructure events, developing API backends, executing code at specified intervals, and much more. 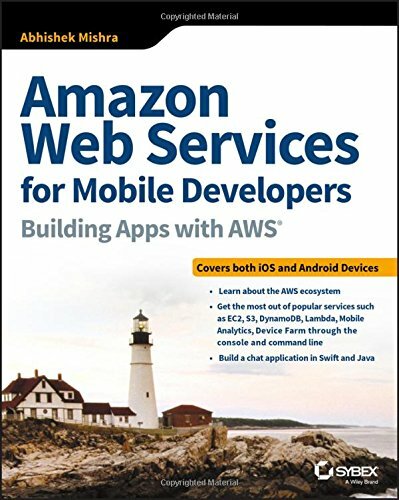 If you're an experienced iOS or Android developer and looking to get help from Amazon Web services to build more reliable and robust mobile applications, then you should read this book. Amazon Web Services for Mobile Developers is a practical resource to learn how to use the AWS for your application development. It offers you how to configure and use some of the most popular services, including EC2, Lambda, Mobile Analytics, Device Farm, and more. It provides complete step-by-step instructions to build a demo chat app on both iOS and Android platform. By developing this app, you'll also learn how to use SDK installation, Xcode, Cognito authentication, DynamoDB, Amazon SNA Notifications, and other useful tools.